Tim is Chief Executive of the Nuffield Foundation. 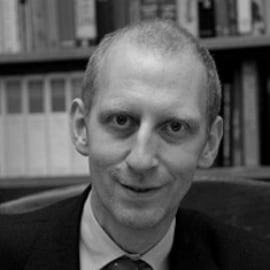 Prior to joining the Foundation in September 2016, Tim was Principal of St Anne’s College at the University of Oxford, a post he held for 12 years. He is also Chairman of the Which? Council. Tim worked for 25 years in senior broadcasting roles, starting at the BBC where he was editor of Panorama and Newsnight, and later becoming Head of Current Affairs and Weekly News. He was Director of Television and Director of Programmes at Channel 4 from 1998 to 2003. From 2008 to 2015 Tim was a member of the Ofcom Board and was Chair of the Ofcom Content Board. Tim was also the author of the Department for Culture Media and Sport Review of BBC Digital Radio Services in 2004, a member of Lord Burns' Advisory Panel on the BBC Charter Review and a Director of SMG plc from 2005-7.